The ABB Formula E Championship returned to Mexico City for the fourth season in a row and we were treated to a close, action-packed race that went down to the wire. After Pascal Wehrlein ran out of energy on the final straight, Audi’s Lucas di Grassi took his first victory of the year, and in doing so Audi became the first team to win in the same city three years in a row. We now take a look at the facts and figures behind the days racing in Mexico City. – Showing the competitiveness of the Formula E grid, the bottom two drivers in Practice One (Felipe Massa and Jerome d’Ambrosio) finished second and fourth in Practice Two, and the bottom two drivers in Practice Two (Edoardo Mortara and Alexander Sims) finished second and third in Practice One. – Sims, who finished seventh in Qualifying, was only 0.189s off Oliver Rowland’s quickest time. This is the smallest margin separating the fastest driver in Qualifying Groups and the first driver to miss out on Super Pole. – With Rowland taking his first ever Top 10 start in Formula E, the Briton also managed to outqualify his teammate for the first time. This marks the first time since the Season 4 Hong Kong E-Prix Race 2 in December 2017 that Sebastien Buemi has been outqualified. 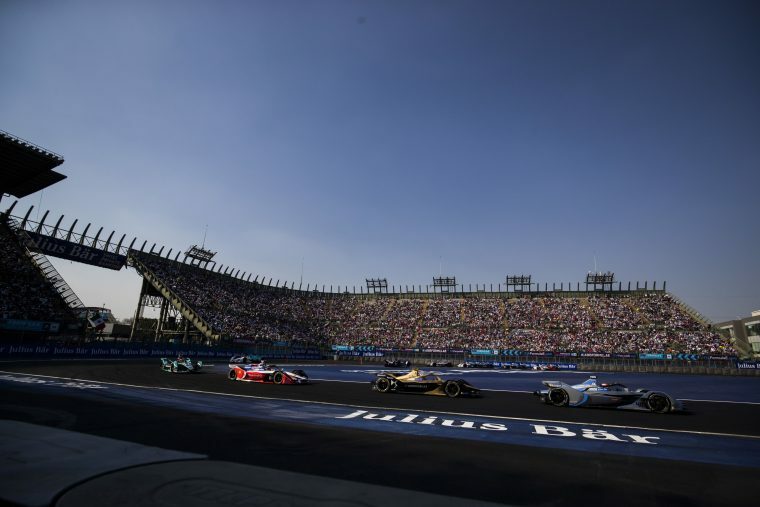 – After the E-Prix with the most attrition last time out in Santiago, the race in Mexico City saw a record for the most classified drivers (21). – The last race definitely saw an upturn in Lucas di Grassi’s fortunes. The race did not only see his first top six finish of the season, but also the Audi driver’s first top 10 start of the season. The Brazilian had started the previous three races in 18th, 11th and 22nd respectively. – With di Grassi and Sam Bird both scoring points in Mexico City, both drivers (along with Buemi) have now scored in 39 E-Prixs. Who will be the first to score in 40 E-Prixs? Before the start of this season Jerome d’Ambrosio had only gained three positions on Lap 1 once, and that came back in the Season 1 Putrajaya E-Prix. However this season, he has gained five positions on the opening lap in Marrakesh and six positions in Mexico City. After serving a three-place penalty for blocking d’Ambrosio in qualifying, Robin Frijns regained all three position back on the first lap. This means that Frijns is now the only driver to have gained places on Lap 1 in each of the four races this season, after having gained a combined seven places in the first three races on Lap 1. At the other end of the spectrum, both Turvey and Dillmann lost five places on the opening lap after they were both squeezed at the first chicane and lost time. After being blocked by Robin Frijns in Qualifying, Jerome d’Ambrosio started the Mexico City E-Prix down in 18th place. After gaining six position on the first Lap 1, the Belgium driver worked he way through the field to eventually finish fourth and regain the championship lead from Sam Bird. d’Ambrosio has gained ten or more places in both of the last two races, being the first to do so since Bruno Senna in Season 1. The top two drivers coming in to Mexico City (Bird and d’Ambrosio) had a combined grid position of 40, which is a record in Formula E. After d’Ambrosio managed to recover to fourth position, Bird gained a total of 13 places to finish in ninth and keep d’Ambrosio within eight points in the championship. After running third and fourth with just two laps to go, both Nissan e.dams drivers looked on course for their best finishes of the season. However, a miss calculation on the energy management meant that they both stopped on the last lap and therefore lost a combined 31 places. As well as taking Pole Position in Mexico City, Mahindra Racing’s Pascal Wehrlein also took his first Formula E fastest lap. In doing so he becomes only the third driver to claim both Pole Position and Fastest Lap in the same race (after Sebastien Buemi and Daniel Abt). Of the 21 drivers to make it past the red flag, 13 of them set their personal best laps on lap 9, whilst in attack mode. Of the remaining drivers, only Alexander Sims and Sebastien Buemi managed to set their fastest laps whilst on only 200kW of power. Only three drivers set their fastest laps after Lap 12, with Daniel Abt, Jose Maria Lopez and Gary Paffett all utilising Attack Mode to set their best times. 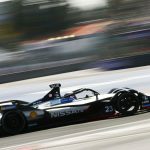 Not including Nelson Piquet, who didn’t make it past Lap 3, the grid’s fastest laps were separated by only 0.491 seconds, which shows the competitiveness of Formula E.
« Shutting down…why were teams caught out in Mexico City?